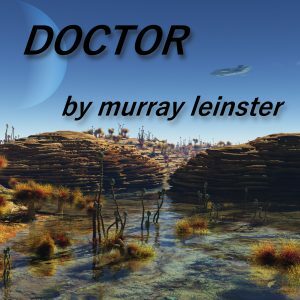 The short story “Doctor” chronicles a fear of a virus that has already decimated one planet and is so deadly that there is no cure for it. Planets that are known to have chlorphage are quarantined from the rest of the galaxy. Unknown to others, a small girl who is infected manages to board an interplanetary ship and the ship’s doctor tries to combat the virus. Murray Leinster (William Fitzgerald Jenkins) was an award-winning American writer of science fiction and alternate history literature. He wrote and published more than 1,500 short stories and articles, 14 movie scripts, and hundreds of radio scripts and television plays.